Festivals in India are not just celebrations but in fact, a way of life. Temples in India are not far behind in these festivities. A number of spectacular fairs and festivals celebrated at temples across India lures innumerable visitors. Devotees from far end of the globe plan a trip to India to be a part of these grand fests. Extravagant rituals, traditions, processions, feasts and more, make them experiences of a lifetime. 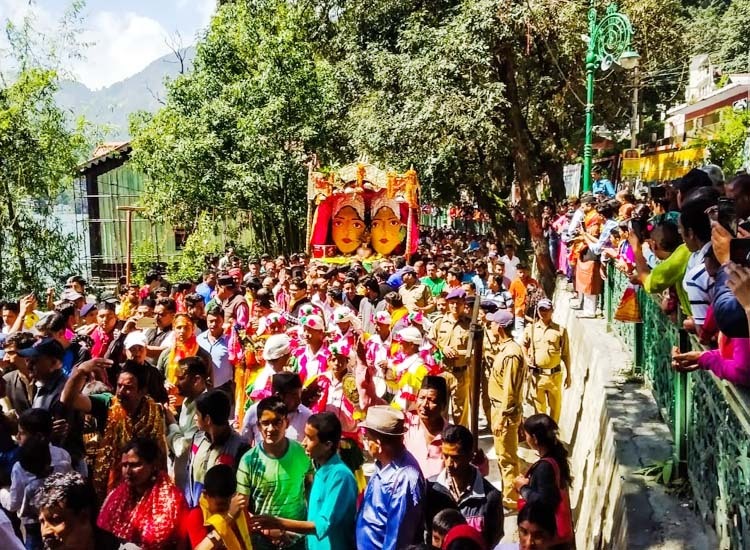 So, if you are looking for some divine blessings, then here is a list of spectacular fairs and festivals celebrated at temples across India. 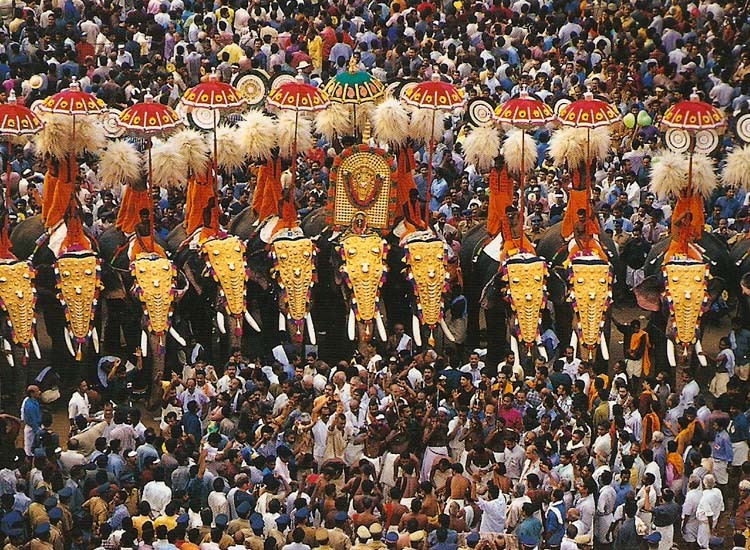 Celebrated for over centuries in Kerala, the Thrissur Pooram is dedicated to Lord Shiva. The major attractions involve the spectacular procession of elephants along with percussion performance. During this one of the most popular temple festivals in India, festivities are held at the ‘Vadakkumnathan Temple’ in the months of April-May. A week-long gala fascinates visitors from all over the world. During the festival, priests of different temples pay their obeisance to Lord Shiva. Devotees and spectators from different corners of the country throng this place just to catch a glimpse of the festival’s magnificence and vibrancy. A friendly tug-of-war competition held between two groups of temples divided into Eastern and Western zones with their majestically ornamented elephants, fireworks and exchange of huge colorful umbrellas, known as the ‘Kudamattam’ ceremony; is truly a visual treat to eyes. Interestingly, the festival is adjudged as the most spectacular festival event of the planet by the UNESCO. During the festival, a 200 years old grand ritual is followed in the same way it was done for the very first time. Also, on the sixth day in the evening, there is a face-off between the two groups. Each having 15 ornamented elephants. This is followed by Kudamattam, most vibrant event of the Pooram. It includes the speedy change of umbrellas of vivid colors by both the parties. 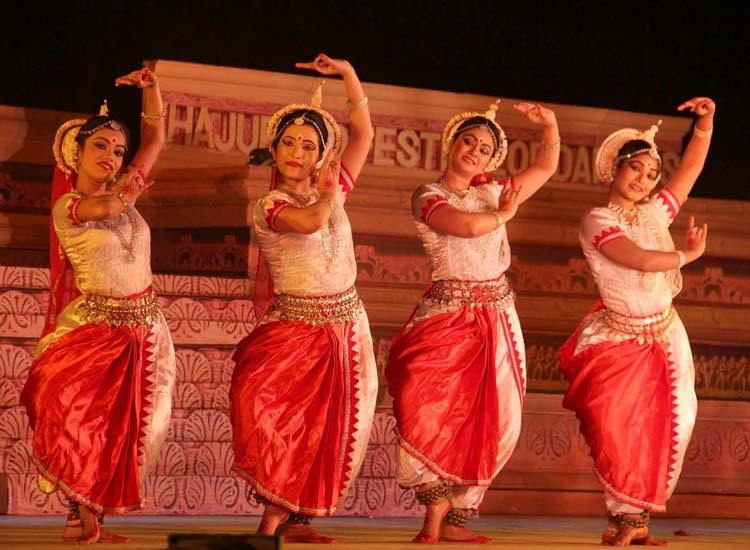 Held in February every year Khajuraho Dance Festival presents a sight to behold. Reckoned as most popular dance festivals, the event grabs the attention of tourists planning a holiday in India. The gala celebrates the traditional forms against the backdrop of the UNESCO World Heritage Sites. Performers from all over the world display their talent in front of innumerable spectators. Dating back to 1975, the fiesta has now become the most anticipated cultural events in India. Offering an ideal platform to cherish the glamour of Indian dance, traditions and music, the Khajuraho Dance Festival spellbinds the audience. The festival is mainly organized to promote Indian heritage Khajuraho. The fiesta remarkably presents the beauty of human emotions with dance. The gala takes place in an open auditorium and lures spectators and dance lovers from all over the world. Indian classical dance forms like Kathakali, Bharatnatyam, Manipuri, Odissi, Mohiniyattam and Kathak are presented during the festival. 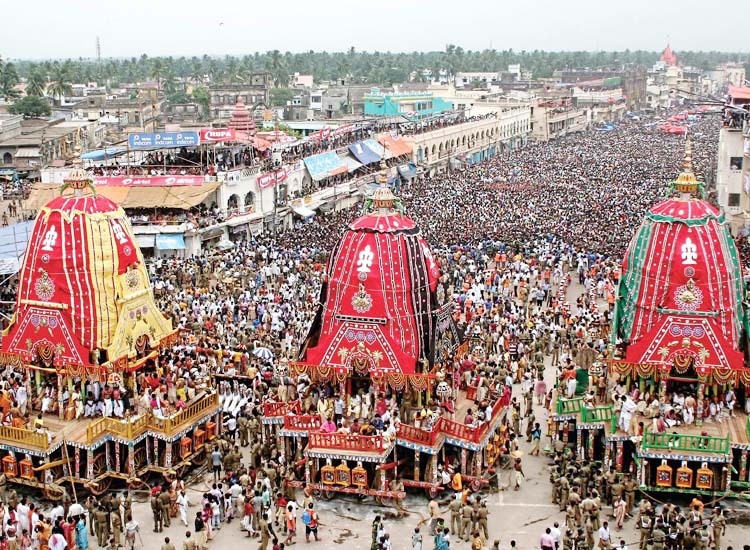 The Jagannath Rath Yatra in Puri or the Chariot festival is one of the famous Hindu festivals associated with Lord Jagannath (Lord Krishna). Hosted in India in the month of June or July, the grand event attracts scores of devotees. The gala marks the journey of Lord Jagannath, Goddess Subhadra and Lord Balabhadra to their maternal aunt’s home. Three grand chariots housing the idol of the three Gods grab the attention. Richly decorated, these chariots are pulled by the devotees to help the Lord travel easily. The sojourn ends at the Gundicha temple. The nine-day long festival starts and ends at Puri Temple while including a halt at the Gundicha Temple. It is during this festival that devotees get the first glimpse of their deity after the 15 days healing process that takes place within the premises. The festival witnesses over one million pilgrims. Cherished with great zeal and fervor, Guru Nanak Jayanti is a major festival for Sikhs. Marking the birth anniversary of Guru Nanak Dev Ji, the fiesta includes organizing of grand fairs, distributing of langar or Prasad and paying homage at the Gurudwara. Further, ‘nagar kirtans’ are also organized presenting a unique sight to behold. Falling on the full moon day of Kartik month according to Hindu calendar which overlaps with November or December, the festival is a must-attend event. Also making winter an ideal time to visit in India, the event is treasured at the Golden Temple in Amritsar like nowhere else. Starting with the Prabhat Pheris, the celebrations conclude with traditional dance performances. The festival commences with a religious procession which is carried out in the early morning from the Gurudwaras. Not only Sikhs, but people of all the religions make the day special just by participating in the processions, chanting hymns and reading Guru Granth Sahib. Taking a holy dip in the sacred pond is part of the festival. Akhand Path, continuous reading of the Guru Granth Sahib begins 48 hours before the fiesta. 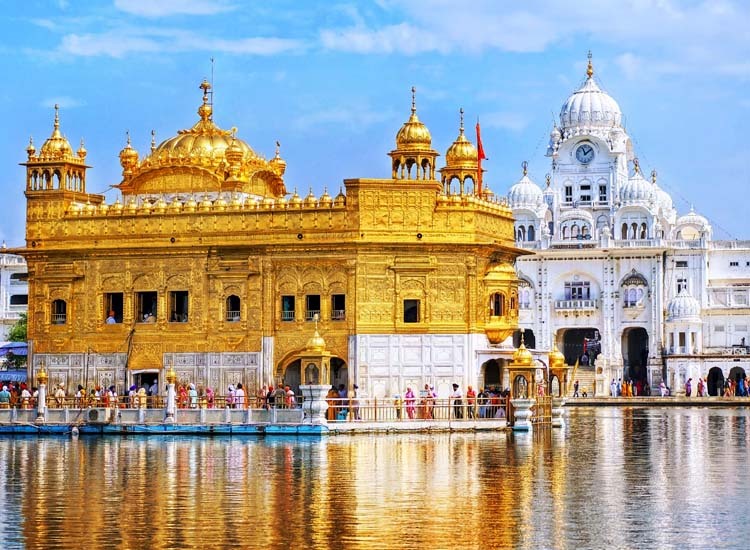 Read the complete guide for Harmandir Sahib Gurudwara in Amritsar. Treasured against the spectacular backdrop of the famous Sun Temple, a UNESCO World Heritage Site, the Konark Dance Festival is a visual retreat. The most awaited festivals in Odisha is celebrated every year. The five-day long cultural extravaganza aims at bringing the international amity and brotherhood. The festival has managed to enjoy fame worldwide in a sense that it attracts artists of international and national repute. It is definitely a retreat to watch such a great talent from all over the world performing at the stage of the Natyashala. 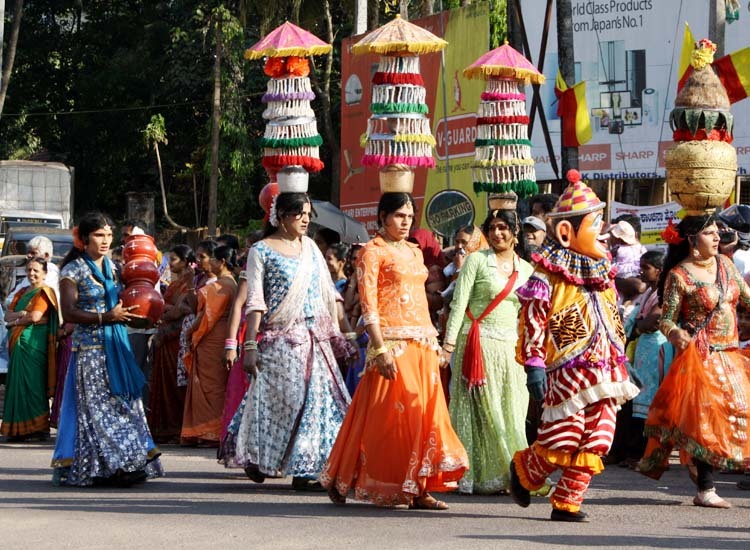 December to February is the best time to visit Odisha as the festival takes place during these month annually. 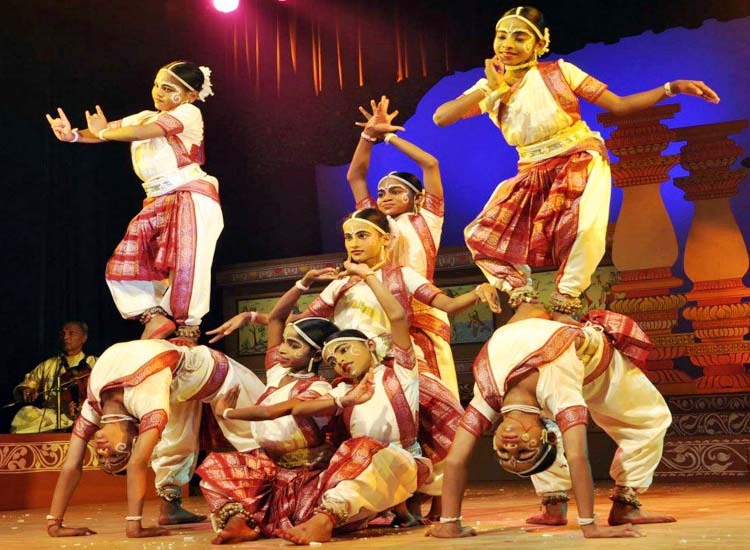 The dance festival provides insights into the dance heritage and India’s rich culture like nothing else. Odisha proudly boasts of the festival as it has managed to bring the state on the World cultural map. Observed on the day of Mahashivratri, the Kotappakonda Temple Fair is hosted in the temple of the same name. As a part of the ritual, people sell clothes, sweets, toys, bamboo, etc. It is a delight to watch people involved in so many activities. Attending the fair gives a true feeling of the traditional rural fairs of the country. Several devotees attend the fiesta with great enthusiasm. The site where the fair is held is perched on a height and thus, one has to climb a few steps to reach there. Lord Shiva is the presiding deity in the temple and thus, the fiesta is dedicated to him. The temple where the fair is held is a popular place to visit in Andhra Pradesh. Moreover, the temple is surrounded by three hills which can be seen from a distance from any direction. Devotees carry huge decorated and lighted lamps called as Prabhas in their hands and offer them to Lord Shiva. Tonsuring of the head is also an important ritual that is conducted during the fair. Surprisingly, Bengaluru which famed as IT hub city is also known for hosting the Karaga festival. The reason for celebrating this oldest festival in Karnataka is to honor Draupadi or Goddess Shakti, a notable character in the Hindu epic Mahabharata. Depicting the religious heritage and rich culture of the state, the gala involves male devotees carrying huge pots over their head. The generations of the Thigala community has been carrying forward the tradition of cherishing this festival in India since time unknown. Lasting for nine days, the festivities include strict rules to be observed by the priest who has to carry the pot. Hosting of a temple flag on the Sampangi tank a fortnight before the full moon night of Chaitra month marks the beginning of the festival. It is on the sixth day that Draupadi is invoked by offering special prayers. Thereafter, non-sanctified Karaga is brought from the saltwater pond on the seventh day. A few Veerakumaras receive Deeksha at the temple three days before the festival. A fire-walking ritual is observed on the ninth day awe-struck the spectators. It is interesting to note that the priest who carries the pot remains in seclusion at the temple. He leaves his home a few days prior to the fiesta. Not only this, but his wife also follows the rigorous ritual. Also, she hands over her bangles and mangal sutra to the priests. Besides luring innumerable devotees, the Ambubachi Mela in Guwahati, Assam remains the center of attraction for various Tantrik Babas. 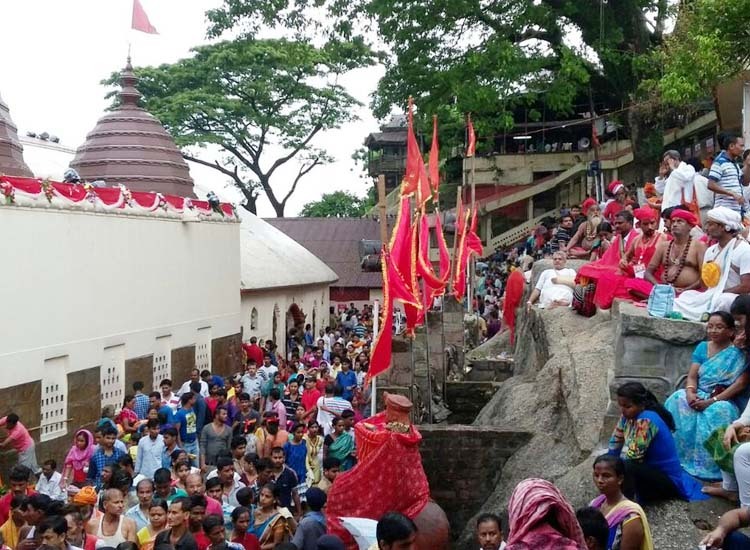 The important fair finds the mention on the list of religious festivals in India as it marks the annual menstruation period of the Goddess Kamakhya. Also, known as the Tantrik fertility festival or Ameti, the fiesta is attended by Tantric ascetics in huge numbers. Moreover, devotees do not cook food during the festival as the lighting of the fire is strictly prohibited. Celebrated amongst strict rituals, the festival is revered as the ‘Mahakumbh of the East’. Doors of the Kamakhya Devi Temple in Assam remains closed for three days during the stretch of the festival. It is done in order to give proper rest to the presiding deity. Making their annual public appearance, the Tantric Babas perform various Tantric rituals during the 3 days of the festival. On the fourth day, when the temple reopens, a Prasad is distributed in the form of a red cloth or water (slime in nature) to the devotees. The cloth is used by the Goddess when she menstruates and water is used to bathe her after she is done with the process. The Nanda Devi Temple is one of the most important places of religious significance in Nainital. The villages of the Pindar valley come to life during the Nanda Devi Festival. Partaken by Lohar people, the fiesta aims at honoring the Goddess Nanda. The fair takes place at various places to visit in Uttarakhand like Nainital, Bageshwar, Kot and Bhowali. But, Almora hosts the main fair. Symbolizing the cultural and economic prosperity of the area, the Nanda Devi Mahotsav lasts for either 5 or 7 days. Carrying the palanquin of goddess Nanda and her sister Sunanda is an important ritual performed during the procession. A great deal of pomp and grandeur presents a unique spectacle. Dance and songs are the essential parts of the festival. On the last day, devotees submerge the palanquin of the Goddess in the water. The festival provides an ideal platform to the school and college going students to showcase their talent. Local artists also perform in front of the audience. A myriad of other festivals in India also showcase the traditions and culture of the country in a distinctive way. These are, however, just a few of them!